Can you feel the heat? Litha is another name for the Summer Solstice � the longest day of the year. Litha is a celebration of the sun and of the victory of light over darkness. 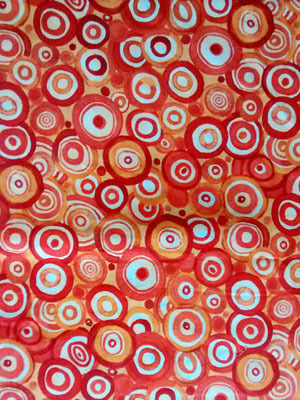 The Sun with its illuminating rays has long been a symbol of life, light, and the quest toward a higher consciousness. 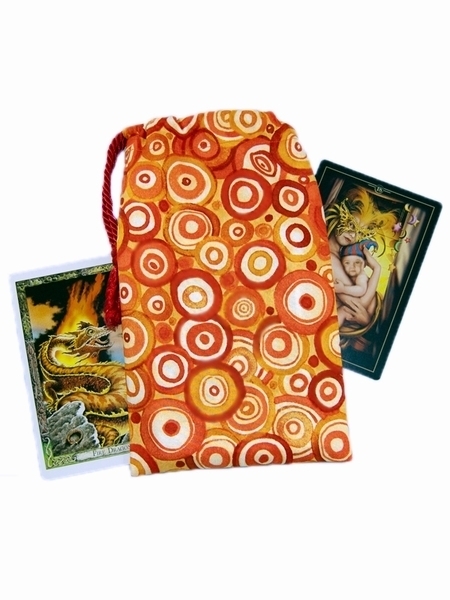 Covered in fiery circles of red, orange, yellow, and white, this tarot bag carries the rejuvenating energy of the sun. Pictured with the bag are cards from the Oracle of Visions and the Druid Animal Oracle. We also recommend this bag for the Mother Mary Oracle and the Soulful Woman Guidance Cards.